Today, we’re going to learn how to let go of the idea that we are excluded from acting boldly or going after what we want. We’re going to work through the fear surrounding our self-image so that we can take the same risks as everyone else when reaching for our dreams. It’s an awful question to be faced with when coming from someone else, of course, but it can be just as miserable—and sometimes even more so—to face this question when posed by our own inner demons. This is just one of the many tricks used by your “safety police” to keep you inside your comfort zone. 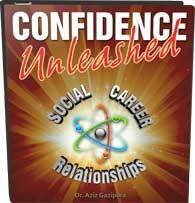 If you’re not familiar with that term yet, it’s one that I discuss at length in my program, Confidence Unleashed. 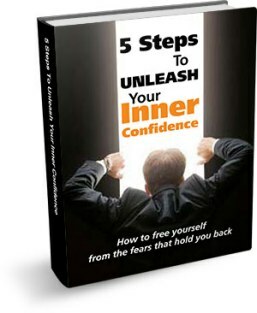 For anyone who might be looking for more hands-on guidance through the many issues that face us regarding self-confidence, I highly recommend that you look into this program (or check out my book, The Art of Extraordinary Confidence). “Safety police” are the voices in your head that hold you back, keep your actions small and ultimately restrict you from going after what you want. When your safety police ask the question, “Who do you think you are?” they’re telling you that you’re not good enough to attempt something. Whether it’s talking to a beautiful woman or approaching your boss about a new idea or writing your first novel . . . The truth is that none of that really matters. Harrison Ford was a carpenter with no acting training—did that stop him from taking Hollywood by storm with his characterization of Han Solo? Nope. J.K. Rowling was rejected a number of times before selling the first Harry Potter book to a British publishing company for the equivalent of about $4,000. Did that stop her from creating a multi-billion-dollar phenomenon surrounding said character? Nope. What I’ve found with this particular hold-up is that the things our safety police are most desperate to keep us from doing are actually the very things we are meant to be doing in the given moment. In other words: if the very thought of a given action scares you, you’ve probably found your new path forward. So how do we overcome the fear so that we can move forward? Well the first and most important thing to do is to take action immediately and keep going! Are you uncomfortable, scared, intimidated, and worried everything is going to fall apart? Good! Keep going. 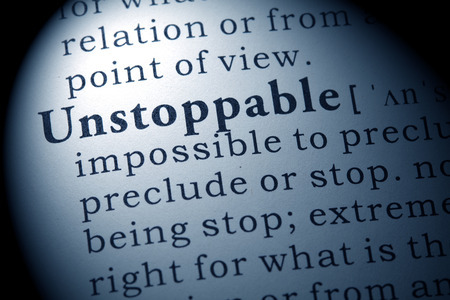 When you persevere despite obstacles, you prove to yourself that it’s possible and worthwhile to keep doing so. Subsequently, each obstacle you face will seem less and less daunting. Now you’re facing your obstacles and busting down the barriers in your path on a daily basis . . . but you’re still hearing that looming question in your mind: Who do you think you are? We have to get bold and playful when dealing with the voices of dissension in our own heads . . . and when building our image of the world around us. Consider the question universally, for example: “Who do you think you are?” Well . . . who is anybody? Think of the person you respect and admire most in this world. Do you think this person deserves a certain brand of happiness outside the realm of your capability? Why? Was this person born with magical powers while floating on top of a rainbow? No. The reality is that he or she is just a person—same as you or I. The only difference between that person and you is that at some point he or she realized that the only thing holding us back from greatness is ourselves. Every time you hear that question blaring in your mind, take a moment to give it right back with strength and conviction. Stand tall and find your physical power so that you can reinforce that new mindset through assertive physical energy. Once you’ve stood up to your safety police, you’ll begin to see it for what it really is: a frightened and powerless fear monger. I know you’re scared, and I get it. You don’t want to fail. I don’t want to fail either, and that’s why we’re on the same team. You may think this is terrifying, but I’m still going to take this risk because it’s necessary for creating success in my life; you may want to stay totally safe, but that’s not going to work if we want to be happy and move forward. You don’t have to verbally accost your safety police—you can approach this demon from a place of love and understanding. This is another subject we cover in great detail within my Confidence Unleashed modules, so if any of these concepts are sounding like gibberish to you, please feel free to click on the available links so that you can find out more about this life-changing program. As you move forward in this work, remember that confidence is a muscle: the more you work it, the faster you will grow; the faster you grow, the easier it will become, and the more powerful and confident you will feel on a daily basis. As always, please feel free to share, “like,” and subscribe below! Invite a friend to join the group if you think he or she might like it. The more people we have involved in this work, the more experiences we all have to learn from, and the faster we can all grow together.